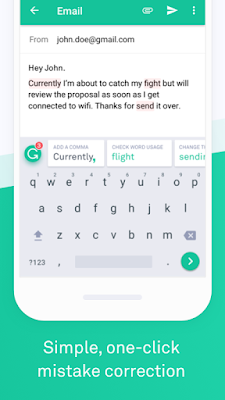 The Grammarly Keyboard for iOS & Android (APK) - Download & How it Works? 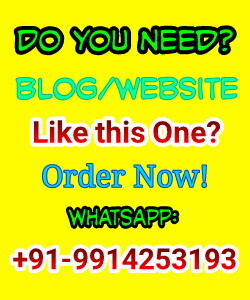 Communication through the internet has flourished in the past one decade. It has changed so much that we depend on it for our daily needs and communication. It wasn’t long ago that we used our computer software to get a mail worded right and also to check for grammar. Today it is really difficult to sit in front of a computer as we are constantly on the move. Hence we use our smartphones and the typing could go wrong in so many ways. Hence we have been using Grammarly for a long time now on our devices to correct and understand our grammar mistakes and get the correct explanation for it. This application has been in existence for a decade on iOS devices and was later introduced in Android devices. I must say this is the most brilliant and useful app I have ever used. 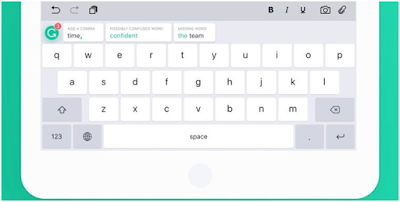 The Grammarly Keyboard is a personal editor for anything you write on your phone, it is compatible with any kind of app and gives you feedback and suggestion on all your emails, messages, and documents. With this app now you do not have to wait for a computer to check your documents and emails, it is a revolutionary app with our growing usage of mobile phones and the communication through it. It not only catches context-specific grammar and spelling mistakes but also notifies you of the confusing sentences in your message. It has a premium use option which suggests better word use and style improvements. The keyboard not only corrects you but gives you a brief explanation of your error and helps you avoid them in the future. It helps you learn as well! The keyboard auto-corrects your text before you send it and also lets you know when it makes an autocorrect. This app can be used on Android as well as on iOS devices. Click here to download Grammarly keyboard app. The app with ask you to Log into your account, if you are not a previous user create a Grammarly account, else log in with your username and password. From there switch the Grammarly Keyboard on. Tap on the ‘switch Input Methods’ option. Select the Grammarly keyboard option. Now the keyboard is enabled on your Android device, open any other app and start typing. You will get the Grammarly keyboard. If you don’t see a green Grammarly logo on the top left of the app, then it must be because there are multiple keyboards enabled. In the above case click on the globe symbol and choose Grammarly Keyboard. You are free to use the keyboard and go completely mistake free. How to Disable Grammarly Keyboard (Android)? You can choose to turn it on at any time when you desire later. Click here to Download Grammarly Keyboard iOS app. The app will ask you to Log into your account, if you are not a previous user create a Grammarly account, else log in with your username and password. Once opened you will find an ‘Add Grammarly Keyboard’ option, you must click on it. Switch the ‘Allow Full Access’ option to on. Now the keyboard has been enabled on your device. You can open any app and enjoy the keyboard. How to Disable Grammarly Keyboard (iOS Devices)? This app is indeed very useful and it has helped more than 10 million users to effectively rectify their mistakes and type better. This app is much needed in today’s generation given that many people through the language of texting shorten their vocabulary and forget the right use of grammar. There are many feedbacks and reviews on this app which talks about how this app has helped them. If you haven’t been using this app, I would recommend you do and experience the easier way of typing without mistakes. 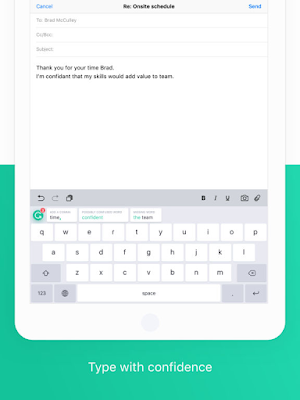 Message: I hope that you have enjoyed 'The Grammarly Keyboard for iOS & Android (APK) - Download & How it Works?' article on Tips2secure. However, if you want me to deliver more items, then please share my post. You can use Social Sharing Widget provided at the end of every post. After all, Sharing is Caring!